Women’s marc jacobs sunglasses. Condition is Used. Dispatched with Second class signed for. Womens Dolce & Gabbana Sunglasses. Condition is New with defects. (N & A missing) on the right are of the glasses. Dispatched with Royal Mail 1st Class. Genuine Tiffany & Co Sunglasses (TF4146 8134/3B 5618 145 3N). 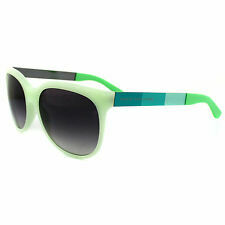 Tatler @ ASOS Sunglasses 100% UV Protection (CE-UV). Leopard / Animal Print Design with Brown Lenses with plain, dark grey arms. UV protective. with fabric storage pouch. New, bought but changed mind. Perfect pristine Condition. 100 percent genuine. Cheapest new of this model in the uk. CAT EYE SUNGLASSES BANG ON TREND. Condition is New with tags. Dispatched with Royal Mail 2nd Class. Beautiful large square Marc by Marc Jacobs sunglasses. Dark brown frame. Excellent condition only used a handful of times. Comes with case and cloth by case slightly damaged. OAKLEY POLARIZED STEP UP. POLARIZED®. 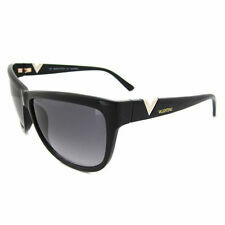 Trendy, classic, black cat eye sunglasses, by Bershka, with an interesting frame detail (please see images). New without tags in perfect condition. Come with a sunglasses pouch. DOLCE & GABBANA. Style Cat Eye. Under 30 GBP 30 GBP - 40 GBP 40 GBP - 50 GBP 50 GBP - 75 GBP 75 GBP - 100 GBP Over 100 GBP. Accessories No Accessories. 54.00 GBP 49.00 GBP 79.00 GBP. 69.00 GBP 69.00 GBP 44.00 GBP. 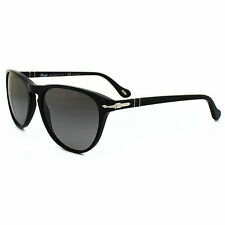 Retro round cat eye ladies’ sunglasses from Celine. Made in Italy. Filter Cat 3. Polaroid Sunglasses 4029/S D28 LB Shiny Black Green Grey Gradient Polarized gives glare free vision with the polarized lenses and 100% UV400 protection. The shape is a tweaked square shape that will work really well for oval or rounded faces. Diesel Sunglasses DL0009 24C White w Black & Red Pattern Silver Gradient Grey are a gorgeous cats eye shape with unique colour details around the lenses and on the arms of these funky and fun Diesel sunglasses These Diesel sunglasses have a defect. The right lens has a mark across the centre. This mark can be seen when wearing the sunglasses and does slightly obstruct your view, especially when exposed to light. These sunglasses come with the original Diesel case, cleaning cloth and leaflet. The price has been lowered to compensate for the above defect. .
Ray-Ban Sunglasses 4216 601S71 Black Green are a curvy cat's eye style with a very modern slightly wrapped look with the cat eye lift to the corners, all put together with smooth curves and finished with the Ray-Ban logo on the temples. TOM FORD PRISCILLA Cat-Eye Sunglasses Model: FT 0342 05B. Model: FT 0342 05B. The History behind Tom Ford: Tom Ford, arguably the most powerful man in fashion, originated from Gucci. NEW and Complete with: Tom Ford Case, Cleaning Cloth, Authenticity Card, Information booklet. Ray-Ban Sunglasses 4181 601 Black Green are a simple and understated design which is elegant and stylish as well as being comfortable and giving excellent sun protection. Bvlgari Sunglasses 8152B 501/8G Black Grey Gradient have a beautiful, feminine cat-eye style frame handmade from acetate and feature stunning Swarovski crystal embellishments along the temples with green detailing for a luxurious and glamorous look.